In the past I often just brought a long a suit case full of pedals and mixed and matched them until I found the right combination that made whatever it was that I was playing sound right. So, to help solve this problem, I made this little three in one pedal. Here is a small sample of what it sounds like. Then back to Fuzz, mess with the volume knob a bit and all off to clean. 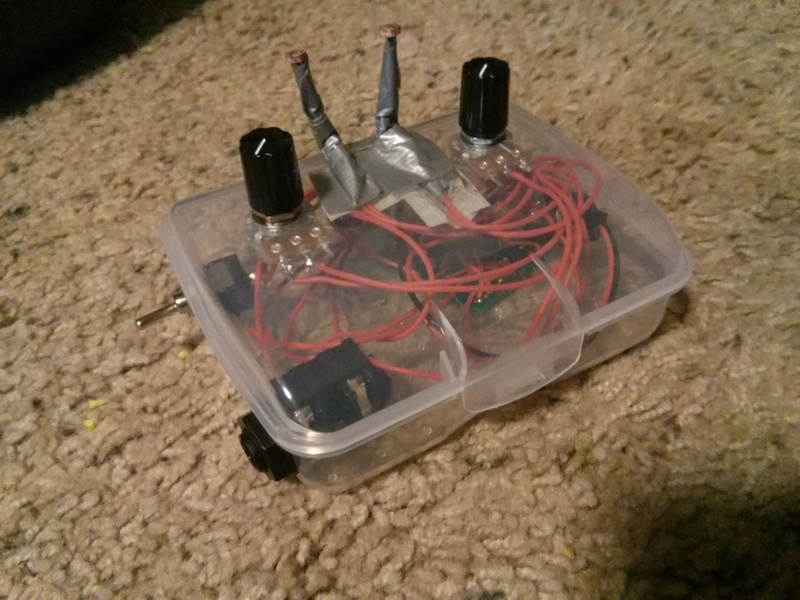 I designed it to be small so it doesn’t even have room for a 9 volt inside, and more often than not I it will be on a table, next to or in the instrument. It is nothing fancy but it will make my life a lot easier. Here are a couple more recordings I did with the SuitBass to test it out.